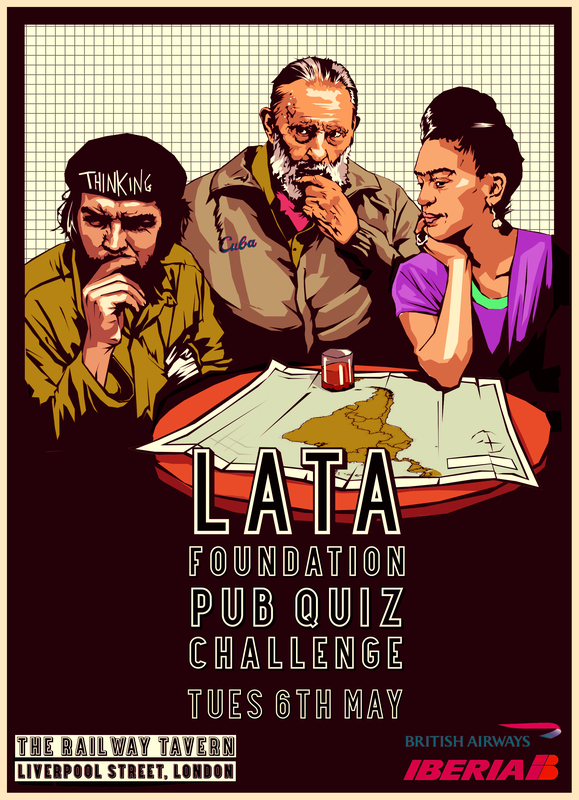 The annual Latin American Travel Association Foundation Pub Quiz, hosted by British Airways/Iberia, will take place on Tuesday, 6 May at the Railway Tavern close to Liverpool Street Station in London. Tickets in support of the LATA Foundation cost just £15 per person. This entry was posted in Uncategorized and tagged LATA, LATA Foundation by Critical Divide. Bookmark the permalink.